The fun and easy way to learn to play the mandolin.The newest addition to the highly successful Dummies instrument-instruction line, Mandolin For Dummies gives you easy-to-follow, step-by-step instruction on learning to play the mandolin. Following the time-tested Dummies format, Mandolin For Dummies provides a level of content and instruction greater than anything currently available.Mandolin For Dummies breaks down the fundamentals of this instrument and provides the resources you need to practice and improve your ability over time.Packed with individualised instruction on key mandolin-friendly musical styles, including Irish and Celtic,"old time" American music, blues, bluegrass, swing and jazz. Files available via download provide audio tracks from the book and exercises so you can play along and build your skills--almost 2 hours of music! Clear and useful photos and diagrams ensure you fret, strum and pick with precision.Also includes a mandolin buying guide to help ensure you make the right purchases; tips on restringing mandolins, plus other DIY care and maintenance topics. If you're an aspiring mandolin player, don't fret! 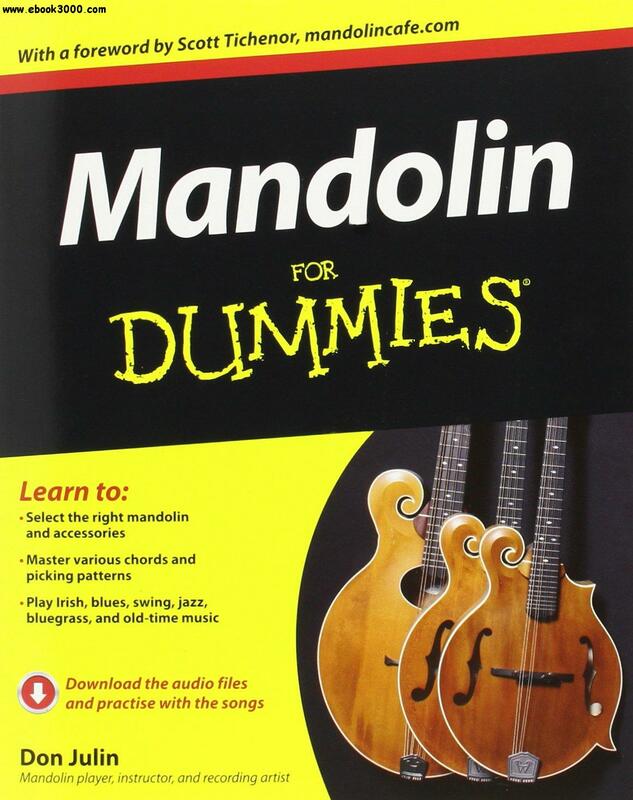 Mandolin For Dummies has you covered.